Hi there! My name is Michelle and I am the writer/ owner of themindfulmagazine. I started this blog to spread the awareness of our spiritual being and the potential of life that is in all of us. There is no claim that what I say is the truth nor it is a religion. These are my observations of life that got me to my spiritual awakening. Living and enjoying life to the fullest is so important. We should not lose hope or live less than our potential of being. What makes life more blooming than a good healthy meal, an amazing session of sports and sharing good energies with the people you love or even new people. In the end we are all one and we all came here with the same purpose to find a purpose. In The Netherlands I was born and raised. The itch to travel came during my study time and I discovered parts of Latin America where I lived and traveled. I feel very intrigued by different nationalities, cultures and languages. What makes us different and what makes us not different at all. I have met people from all over the world who made my days brighter and I did not feel as if we were from different countries. I felt very related to each and every one of them. Culture could divide but could also bring people more together. It teaches us the different perspectives of life. At the moment I am living in Malta, where I can truly say I found the “real” me. No more pretending, no more acting different, just me as I am. Every day I am still learning and life teaches me diverse aspects every single day. As I have learned and experienced quite a deal up until now I feel very inspired to share my thoughts and stories with you. For now I still work full-time, but some day I hope to inspire you full-time by these channels. As a Senior SEO Specialist I have learned how to run a website and my passion for writing I have discovered by means of this job, which will aid me further into this process. 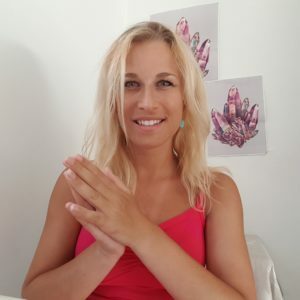 Besides working as a Senior SEO specialist, I do Intuitive Healing Massages (with crystal stones), Angel & Tarot Card Readings, past life readings and I am running a free-based meditation and talk group. If you ever come to Malta, please contact me and join our amazing sessions! I hope I gave you a small overview about who is behind themindfulmagazine.com. If you have any questions or comments or you would like to share your experience with me. Feel free to contact me on this email address. 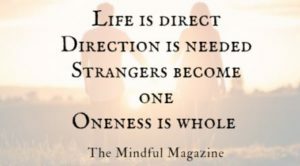 Or you can start following me on my Youtube Channel: The Mindful Magazine. Do you have an inspiring story? Would you like to share something with the world. Feel free to write me an email and we can meet up/ Skype/ Zoom/ Email for an interview. My dream is to inspire and to be inspired. I am inspiring you with my knowledge, but there are many out there who have their knowledge to share. Do not get me wrong knowledge is found in all corners and you do not need to be famous to share it. I am looking for all kinds of stories! Do not be afraid to contact me and hope to speak to you soon. If you would like to advertise on my blog, you can contact me. We can agree on the terms and I will only promote existing products or links that are related to spirituality, psychology or mindfulness. 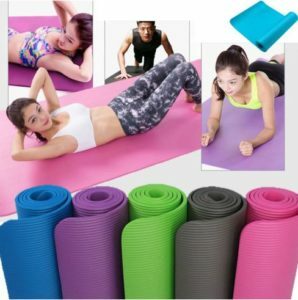 Any other product will not be promoted. If you would like to sell your products on The Mindful Magazine, please send me an email. We can agree on some reasonable prices and I help you promote whatever wonderful you have created that you would like to share in the world.